I am extremely fortunate to work with a good friend of mine, Rachel Burnett. We met randomly in DC at a house party and found we had a similar interest in politics and people in general. About two years later, she was looking for something where she could stretch her skills and work for herself, and she ended up taking a position with us. Rachel has distinguished herself as one of the best salespeople out of all the agents we work with around the country. In her first full year, she finished as the #1 female producer in the entire country. I was reading an article the other day where they cited a CBS News / New York Times poll that asked people this, “What percent of people in general are trustworthy?” The consensus was around 30%. I can’t say I was shocked, even though I consider that a pretty low number. But then they asked another question with a couple word changes. “What percent of people that you know​ are trustworthy?” In that case the number jumped from 30% to a whopping 70%. That’s a huge difference. And from what I’ve experienced in both my career and even life itself, is that you’re more likely to trust someone you know (or feel you know) than not. I just didn’t realize how BIG of a difference that made. I’m a numbers girl. My background is in politics, and through the romantic ideals and empty promises, getting people elected comes down to numbers. Sales is no different. But the numbers can easily drop if you’re considered unlikable and untrustworthy. As the poll stated, you go from the from the 70% bracket to the 30%. That’s quite a fall. Here are four rapport building tips to help you get in and stay in the “friend zone.” Likewise building trust and therefore building sales. sarcastic. The most important thing you can do is: ask questions. Beyond their medical background. Ask about their interests, their family. Look for similar things you have in common and talk about it. This also makes the job more fun, and looky there, you might have made a new friend. cheap cologne. When it comes to relationship building, you cannot force rapport. Show interest, but don’t act subservient, overly friendly, or too pushy or you will only turn the other person off. Be yourself, show genuine interest and leave it at that. Remember to keep calm and don’t rush through your presentation. buyer. They either dive right in with no ice breaking conversation, or they spend too much time chit chatting, and in both instances the sale doesn’t go well. Your job is to find the middle ground. Take control of the conversation. Don’t rush, but also don’t drag on and bore your prospect to death. 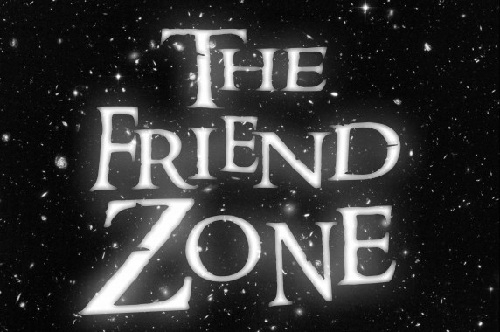 Remember, being in the “friend zone” in sales is a good place to be. It allows you to develop an open dialogue with your prospect, while likewise cultivating a relationship built on trust. And trust = big sales numbers.